Along with darts and pool tables, we've recently added Pinball, a game of both luck and skill. Every Monday: Get a burger with fresh-cut fries & a pint of McMenamins ale – all for $11! 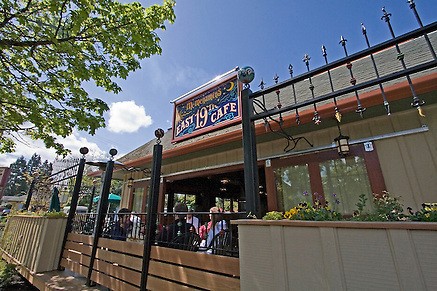 Situated a block from the University of Oregon campus, East 19th Street Café in Eugene is right in line with the laid-back hippie vibe emanating from U of O. 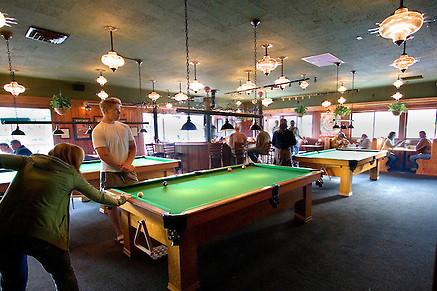 “East 19th,” as it’s fondly known, is a pub for students and the community alike. 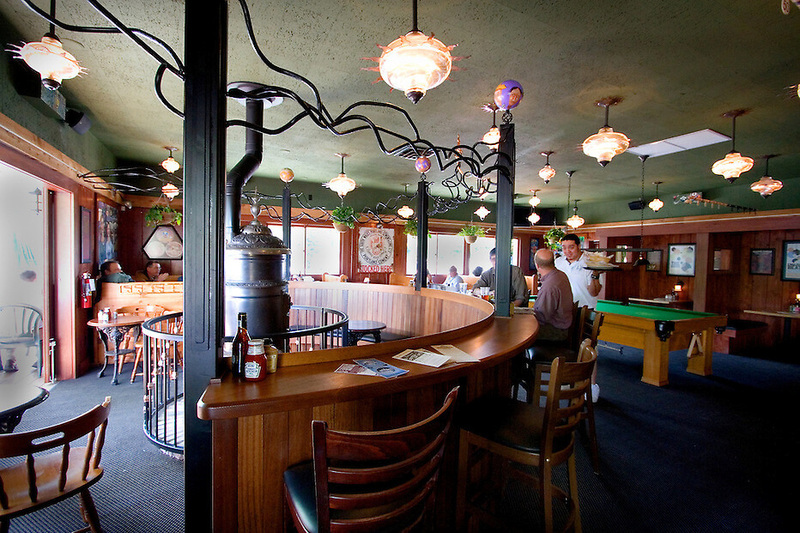 We offer pool tables, shuffleboard, pinball and darts – all surrounded by the signature charm of original artwork by McMenamins’ artists Joe Cotter, Kolieha Bush and Dawn Phelps McConnell—for a welcoming place to enjoy a handcrafted ale, burger and/or hummus plate. 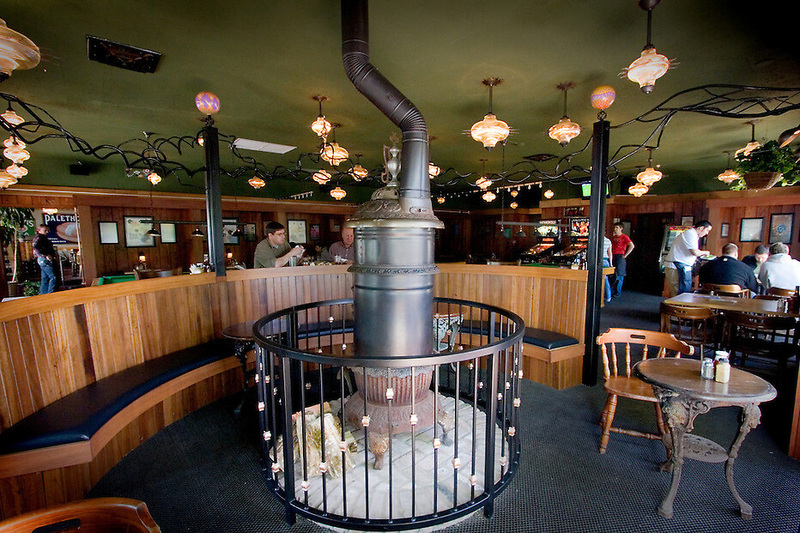 In cooler months, gather ‘round the Round Oak wood stove for a cozy dining experience, and when the sun shines, migrate to our mahogany deck to enjoy friends’ company and share some Cajun tots. East 19th Street Café allows pets at all outside seating. Here at East 19th Street Café, menu options are built around the freshest seasonal ingredients from Eugene & Oregon. We utilize local and regional growers and producers, such as Tillamook® Cheese and Ice Cream, Pleasant Valley Pickles, Sheridan Fruit Company, Country Natural Beef and many others. 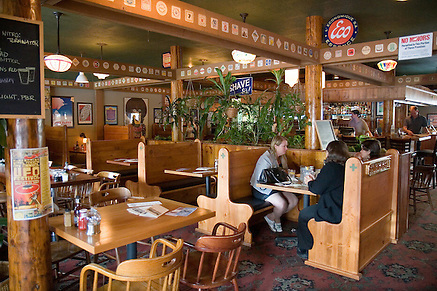 We offer house-made specials including pizza, soups and more. Weekly specials round out our menus – ask your server for details. Gluten-free buns are available for an additional charge with hamburgers and sandwiches – just ask your server about special orders and dietary restriction options. Please note: Although the bun is gluten-free, our kitchens are not. Pizza available to go, call (541) 342-4025. Just a hammer-throw away from the University of Oregon, this place has been a neighborhood fixture for more than a quarter-century (and counting!) and is right in step with the university's laid-back feel. 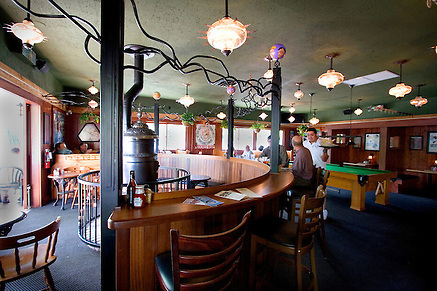 Students, regulars, families and folks just passing through all frequent our pub at E. 19th and Agate.